We would like to bless the memory of ELIE WIESEL (z”l) by sharing excerpts of his writings during the coming winter months (or summer in the Southern Hemisphere!). He was the prolific author of more than fifty books. We have chosen three that mark the beginning, middle, and the end of his writing odyssey. Elie Wiesel is most commonly recognized as a survivor of and a witness to one of the greatest atrocities of human history – the Holocaust. He was born in Sighet, Hungary, into a pious, Hasidic-Jewish family. His father was a beloved leader in the community and Elie was a deeply religious youth, fervently committed to prayer and study of the Torah and Talmud. Most Jews in Hungary hoped and believed that that they were far enough removed from Nazi Germany to be spared and would safely survive the war. However, in 1944, the Nazis invaded Hungary and all the Jews of Sighet were deported to Auschwitz. On arrival at the death camp and facing the infamous ‘selection,’ his mother and beloved seven-year-old sister, Tziporah, were immediately led to the gas chambers along with other women and children. Elie and his father were spared as laborers and together they clung desperately to life in the camps of Auschwitz, Buma, and Buchenwald. Tragically, his father was viciously beaten to death by a guard not long before the liberation by the Allies. After liberation, with no family or home to return to, Elie was sent to Paris to study at the Sorbonne. From Paris, he travelled to Israel and then to America, where he settled in 1956. In 1968 he was married in Jerusalem to his basherte* Marion. Although New York was their official home, Elie was in great demand as a lecturer and they travelled frequently and also spent time in Israel whenever possible. Elie called himself a witness and a messenger. I will bear witness. I will reveal and try to mitigate the victims’ solitude. Six million Jews perished and he somehow survived. He saw his mission as bringing their message to the world. He carried the dual responsibilities of being a witness to their death and of retelling their story. He could not forget them and worked to ensure that we do not either; not in order to punish the living nor to heap more blame on the perpetrators, but for deeper spiritual reasons. His works address the central theological question that looms from the horror: “How can one speak of God after the Holocaust?” All other theological questions pale until this one is validly addressed. 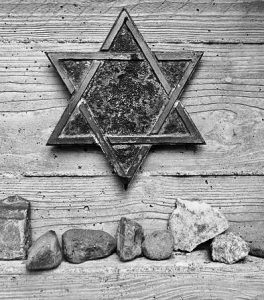 Our human tendency is to try to forget the unpleasant, and many Jews try to blot out the atrocities of the death camps from memory. We can erect monuments, say some prayers, and move on to embrace the hope of a happier future. On the other hand, others are crushed spiritually by the Holocaust and their faith in God is snuffed out entirely. 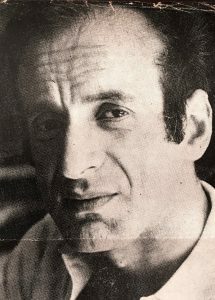 Elie faced both these choices and his work ultimately advises against any hasty surrender to atheism, however attractive and justified it may seem. He rejects both the head-in-the-sand optimism and atheism. 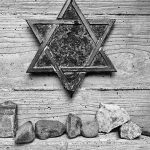 Neither Christians nor Jews can overlook the theological challenges of the Holocaust by ignoring them or by being crushed by them. We will be exploring his autobiographical books, but even Wiesel’s novels reflect his own honest struggle with these questions. They take the literary form of fiction but in reality they, too, are thinly veiled autobiography. They are personal reflections, intimate musings, and narrative memoirs. He commented: “The Jew in my books is myself – or fragments of myself.” The intensity of his presence on the pages elevates his novels beyond mere literature into a unique genre. The dark pit is transformed, it is blessed, it becomes the Ark of Salvation, the dwelling place of God. Don’t caress your soul as if it were a body, feeding on kisses. Beat it, without humiliating it; whip it, without diminishing it; drive it on in order that it may rejoin its Source and become one with it in the Heichal HaNegina – the Sanctuary of melody. It’s there that God awaits you in secret praise. The crowd obeyed, dancing with a vigor that may have seemed desperate. …We are alone, yes, but inside this solitude we are brothers, helping one another to go forward without stumbling. …So forcibly will we invoke God that the shell of time will be shattered, its laws abolished, and God Himself will cease to exist as a stranger. Very relevant and sensitive observations, Rena. Thank you for sharing. Reading Elie Wiesel will be entering a path that has always been too horrific for me to try and navigate on my own. Thank you for taking my hand and walking me through this path. I look forward, finally, to being able to read, learn, grow and value all that the Lord has for us as we journey together. It is a journey that shocks us, dear Robbie. But, with HaShem’s help, it is one we must try to navigate, as much as we are able, even though we can never explore or understand or endure it all. It truly is a path too difficult and painful to navigate alone, dear Robbie. At the same time, Elie Wiesel’s testimony as a witness is too valuable to avoid. We all need to do this…but together! What an incredible and even inspiring legacy Elie Wiesel has left as a Witness & A Messenger through terrible pain and trial. An encouraging message to keep on championing on even in the darkest times!